Percept Infotech is an enterprise web & mobile app development company in India. We are offering services in PHP, Joomla, Wordpress, Magento, Laravel, Yii, CodeIgniter, AngularJS, NodeJS, Python, Django. E- commerce provides your customer 24x7 access to your business. E-commerce is a process that consists of distribution, buying, selling, marketing, and servicing of products or services over electronic systems such as the Internet and other computer networks. With variety of features such as unlimited categories, brands and products, to a secure one page checkout, we make online transactions easy for both our valuable clients and their customers. An e-commerce website can transform your business and contribute to its growth in a spectacular way. With the right online marketing one can broadcast your message to tens of thousands of potential clients and it also gives you the immediate ability to sell your products 24hrs of the day. From selling a product to taking payments for a service, our team can develop the custom eCommerce website which suits your business. 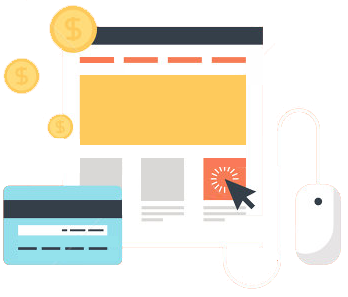 The most essential and vital part of any e-commerce website or online shopping it is essential that your web store is integrated with a payment gateway. These payment gateways are offered by different banks and other dedicated Payment Processors. The requirements for an account vary from service to service of the gateway providers. Our content management ecommerce solution allows you to completely control and maintain your online shop without the need of having advanced computer skills or even experience. Joomla provides the cost effective development of E-Commerce website. If you prefer to contact us, just direct message or contact info below. You can connect with Percept infotech a variety of our online social media tools. Copyright © 2016 Percept Infotech. All rights reserved.